Start-Automating was founded in October 2010 by James Brundage, a former member of the Windows PowerShell team. Start-Automating initially helped Microsoft to build the partner launch toolkit for Office365 and helped developed updated versions of the Sharepoint deployment tool SPEasySetup. Start-Automating also assisted Microsoft Sharepoint Online Dedicated in the development of health monitoring tools for their deployments. Start-Automating developed a growing reputation for being able to create tough to-build-tools and put a prettier face of them then a normal PowerShell console. Start-Automating's reputation for creating compelling experiences atop PowerShell was solidified by working with the community to merge the Powerboots and WPK projects into one unifed platform for WPF in PowerShell, ShowUI. Start-Automating's reputation for tough tasks was solidified in summer of 2011, when Start-Automating became an official Microsoft vendor and began work on the Zero Day Attack Lab and updates to System Center 2012's Cmdlets. The Zero Day Attack Lab is the most complex automation we've built (to date) for Microsoft, and the largest VM farm in the world. It is used to provide test virtual machines of nearly endless variety for security testing. It helped Start-Automating develop extensive expertise in patching and virtualization automation. Start-Automating's work on System Center 2012 is a testament to their PowerShell prowess. System Center 2012 failed a certifcation related to the quality of their cmdlets, and Start-Automating was contracted to save the day. In less than 1 month Start-Automating built over 90 cmdlets, nearly doubling the automation available to every individual using System Center 2012. Start-Automating also cultivated considerable capabilities in automating System Center that can be applied to both System Center 2012 and System Center 2007. 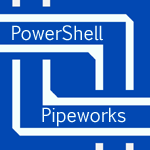 As more customers requested more diverse experiences atop PowerShell, Start-Automating spent the time to develop PowerShell Pipeworks. Pipeworks is a web framework built atop PowerShell that's perfect for putting up paywalls and offering software as a service, and it forms the backbone of Start-Automating's current and future projects. Pipeworks powers Start-Automating's software services and Websites. Pipeworks helps Start-Automating pop out Apps for them or anyone else, and it has quickly created a cottage industry of intranet development with Pipeworks for Microsoft and many others.